Anhydrous caffeine in tablets. It provides 200mg of caffeine per daily dose. Suitable for vegans and vegetarians. With, TeaCrine®, Tyrosine, caffeine and plant extracts. It provides 200mg of caffeine per daily dose. 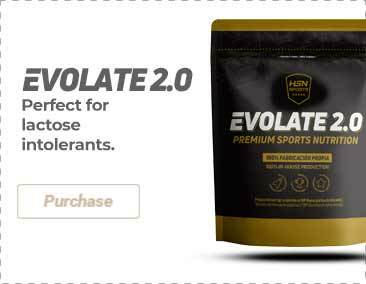 Formula enhanced with theacrine for a stronger effect. Anhydrous caffeine enriched with guarana extract, green tea extract, yerba mate extract and taurine. Pre-workout made from PEAK® ATP and black tea, green tea and white tea extract. Sample of Pre-workout formula with Creatine, Arginine, Citrulline, Beta-Alanine and Caffeine. 300mg of caffeine per capsule. Garcinia Cambogia, Dandelion, Green Coffee and more. 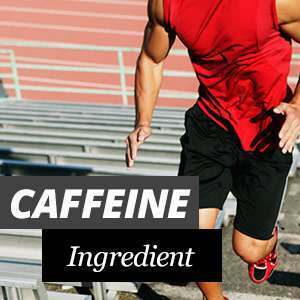 Caffeine + Taurine increases mental and physical performance. Anhydrous caffeine powder with the HSNraw quality seal. 200mg of caffeine per serving. Caffeine is a type of alkaloid, an organic component with a nitrogenous base. These substances possess a diverse range of important physiological effects on humans. Among the most well-known alkaloids are morphine, strychnine, quinine, ephedrine and nicotine. Caffeine is the most consumed stimulant substance in the world. Pure caffeine is also known as trimethylxanthin and is soluble in water, has no odour but tastes bitter. Caffeine increases the capacity to apply intellectual effort and reduces the feeling of physical exhaustion, making it one of the best performance improving substances. Caffeine doesn't provide any nutritional value. However, it can affect mood and bring about some physical side effects, the majority of which are positive, especially in sports. In general terms, it is estimated that a daily quantity of caffeine equivalent to 400 - 600mg for healthy people, is a dose with no adverse effects on health and no toxicity. Once ingested the effects of caffeine do not take effect for around 15 to 20 minutes. However, the fact of not immediately noticing a state of alertness, an effect that occurs when one consumes caffeine, does not imply that it has not started producing effects within our body. Caffeine reaches the cerebral arteries very fast, in addition to stimulating the central nervous system (CNS), with a state of alertness being the most immediate effect. Thus, we feel less tired and more awake. How does the caffeine act in our body? Once we consume any source of caffeine, our liver will work to metabolise it, resulting in the production of theophylline, theobromine, and paraxanthine. These metabolites are filtered by the kidneys and excreted through urine. What is the average lifespan of caffeine in our body? How and when to consume caffeine? Where can I buy caffeine? Caffeine has a potent diuretic effect, which causes our body to become dehydrated more easily. We have to pay attention to this issue if we are in unfavourable environmental conditions, or that we might increase our level of perspiration due to a higher level of physical exertion brought about by the caffeine intake. In all these cases, it is advisable to maintain hydration, basically through water + electrolytes. In the brain, adenosine is an inhibitory neurotransmitter, i.e. adenosine acts as a depressant on the CNS, which promotes sleep and suppresses excitation. When we get up, the adenosine levels in our brain will continue to increase with every hour that passes. This means that when we reach the end of the day we have that typical feeling of sleepiness and fatigue. In the heart, adenosine causes dilation of the coronary blood vessels, improving its blood supply. It also increases the diameter of the vessels in the peripheral organs. Adenosine decreases the heart rate while it exerts an "antiplatelet" effect, avoiding the formation of clots. In the kidneys, adenosine reduces renal blood flow and renin production. It causes constriction of the airways in the lungs and leads to narrowing of the blood vessels in the liver and an increase in the breakdown of glycogen into glucose. Caffeine could be considered a "subtle adenosine copycat", which has a molecular structure similar to these cells. Caffeine acts on the adenosine A1 receptors, blocking them, and therefore the adenosine molecules cannot "enter the game", in other words its functionality is suppressed. When adenosine binds to a sufficient number of receptors, it produces a signal that tells the brain that it’s time to rest or sleep. In this sense, caffeine does not replace the need for the individual to sleep, but only masks the symptoms of drowsiness that the adenosine is unable to produce. Another remarkable neuronal effect produced by the blocking of adenosine by caffeine is that a greater quantity of dopamine is generated in the brain. It is estimated that caffeine can last for 4 to 6 hours in our body until it is fully metabolised. This time revolves around certain subjective personal factors, or what is referred to as caffeine sensitivity. Caffeine sensitivity is determined based on the efficiency to which each person processes and metabolises caffeine. This aspect relates to the individual in genetic terms, and determines the greater or lesser degree to which one will be affected by a specific amount of caffeine. The enzyme cytochrome CYP1A2 is responsible for metabolising caffeine in the liver and is regulated by the CYP1A2 gene, so this will determine what quantity of caffeine is metabolised and what amount is excreted from the body. Certain people produce only a low quantity of this enzyme, but this is uncommon and in general most people do produce sufficient amounts. Another limiting factor in the sensitivity level is the type of adenosine receptors that a person has in his brain. Those who do not have sufficient receptors will be non-responders or will have a poor sensitivity to caffeine, since the caffeine molecule will be unable to link with the receptors. Hypersensitive: those people who react to very small doses of caffeine. With these individuals, the process of metabolising caffeine is more limited, and he/she may experience insomnia, nervousness or accelerated heart rate with dosages under 100mg. Normal sensitivity or mid-level sensitivity: people with a sensitivity close to the population average, approximately 200 - 400 mg, and that will not experience any adverse reaction. They do not have sleep problems despite consuming caffeine during the day. Hyposensitivity: this group is more difficult to find, and are characterised by the need for much higher doses than are recommended as healthy for everyone else. It is estimated that around 10% of the population is hyposensitive. Doses below 500 mg do not affect them. Caffeine tolerance is a term indicating that for the same dose of caffeine, its effect will not be as strong as previously, and that it will therefore be necessary to increase the dose to feel the same effects. Unlike caffeine sensitivity, tolerance is acquired over time, while the first phenomena mentioned is a genetic predisposition. However, consuming the same dose in the coming days (up to 4 days at most), will not be sufficient to achieve the same sensations to the same degree as previously. It is therefore essential to cycle the use of caffeine, especially from the point of view of sports. This is to re-establish the initial tolerance, and go back to experiencing the best benefits. This process can take from 2 weeks to 2 months depending on the person. For casual consumers of caffeine, it prevents them from generating a strong tolerance and the effects experienced will be very similar to the way they were at the beginning. This is the best way to consume caffeine. Each person should personally adjust their caffeine consumption, but it should range between 2 to 4 times per week. The key is choosing to consume caffeine at the times you most need it, not out of habit. This type is recommended for consumption before doing high-intensity physical activity or if we wish to improve our performance. Its effects will be noticeable very quickly. The term "anhydrous" means "without water" or "dehydrated", and thus can be used in capsules or powder form. Caffeine acts as a natural pesticide for plants, paralysing and killing insects. Once the caffeine is metabolised by the body it will start to produce a cascade of effects, due to its interaction with the nervous system, and continue to be of benefit in enhancing performance on the physical and mental level. While the majority of people can benefit from its effects, there are on the other hand a small group (sensitivity and tolerance) in which we may observe certain contraindications, although the dosage of caffeine will always set the magnitude of these negative effects. Headaches caused by underdosing, it is observed that with regular users they may experience headaches if minimum doses are not consumed. The consumption of caffeine is recommended for the early hours of the day, avoiding its use after the middle of the afternoon by those who are more sensitive, since it can interfere with sleep. The dose would depend on the weight of the person, but in general, we should be able to consume between 200 - 400mg. As previously mentioned, we recommend cycling its use, and in some cases limiting it only to the most important or one-off instances. Among these we could mention the search for higher quality physical training or increases in energy required by the rhythm of our lives (work shifts for example). We can find caffeine in the anhydrous form and therefore we can ingest it in isolation. In other cases, it can be combined with other sources of caffeine which have a longer-lasting action, such as Guaraná. On the other hand, if we are looking to improve absorption, we can combine Caffeine with Taurine. In fat-reducing products caffeine is mixed together with other ingredients which act synergistically to mobilize fatty acids and help reduce weight.